It's holiday season in New Zealand. In the past week I have been reading the Modern Witch novels. There are seven books in the series that each tell a story of a new witch, from their discovery to independent practice. The process that is used to train each witch is consistent across the novels and has interesting parallels to software testing. The first step when encountering a new witch is to evaluate their skills. A healer scans the witch to determine the type of power they possess, then a witch with the same type of power conducts a practical evaluation of their skill in a controlled environment. There are parallels to a job interview where a person from human resources scans a CV to determine which role an applicant is most suited to then calls on someone from an appropriate department to conduct an interview. I think the witches are ahead of us in what the interview contains. In every case the new witch is asked to demonstrate their skill. In my experience a software testing interview is a conversation to assess personality. A skilled interviewer may be able to extrapolate testing skill based on the responses of the applicant, but rarely is a practical demonstration requested that would confirm their suspicions. 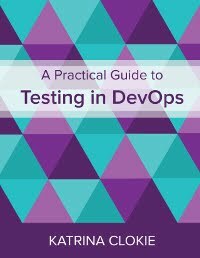 In many cases, the first time a new tester will actually test a piece of software is in paid employment. When we skip a practical demonstration we are guessing what the practical skills of our new testers are based on the way they present themselves. After evaluation the new witch is assigned a trainer with the same type of power. The trainer teaches by demonstration; knowledge is transferred verbally and not by written word. The new witch sees the spell executed successfully before attempting to replicate it. They question what they observe and have a safe environment for failure in their own efforts. Witchcraft is taught via apprenticeship. Apprenticeships give a new generation of practitioners competency in a set of basic skills. They are prevalent in manual trades but seem largely ignored in white collar work. This type of mentored learning would allow us to teach software testing in the workplace within a formal and acknowledged relationship. It gives the apprentice permission to seek, question and learn. It gives the trainer permission to guide, review and suggest. When the practical education of a new tester is not prioritised and owned by an individual trainer the education path becomes varied. Though this is not universally bad, those who are impressionable may take a wrong turn. In the absence of personal assistance the learner may seek out textbooks and certifications to support their journey, which will have variable quality. Those who are trained by a team may miss core competencies as knowledge arrives from multiple sources. The potential of a new tester may not be realised. New witches work in a training circle to protect the environment from the power of the witch. The circle allows the new witch to experiment freely, failure is contained within its boundaries. A test environment is intended to be a place for the tester to experiment freely, but how much freedom do you feel? Often testers within these environments are still constrained; by limitations of our test data, by vulnerable links to third party systems, or by a single environment supporting a test team. To exercise our testing skills without fear we need a dedicated bubble in which to operate. I think these fictional witches have a training path that we should strive for in software testing. What do you think?